Research out of ANU indicates pumped hydro storage projects already on the board are “more than enough to back up the grid”. The more than 20 Pumped Storage Hydropower (PSH) projects currently being assessed or built in five states would accelerate the nation’s transition to an electricity generation system free of fossil fuels. “It’s really a game changer. 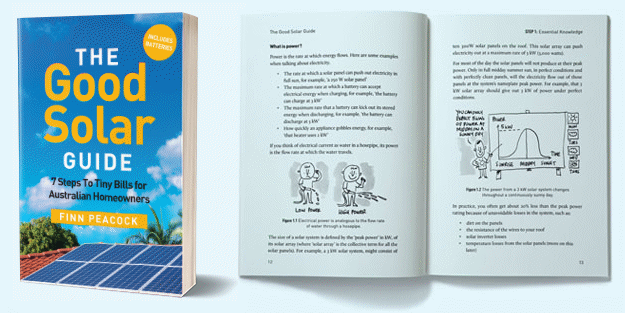 It destroys any argument that solar and wind can’t provide the baseload power needed to keep the lights on in eastern Australia,” said Professor Jamie Pittock, author of the report. Of course, these projects need to first come to fruition. But there’s certainly no shortage of potential. Back in 2017, ANU researchers identified more than 22,000+ potential pumped hydro sites across the nation, representing 67,000 gigawatt-hours (GWh) of storage. It was estimated only the best 0.1% of the sites were required to support a 100 per cent renewable electricity system. 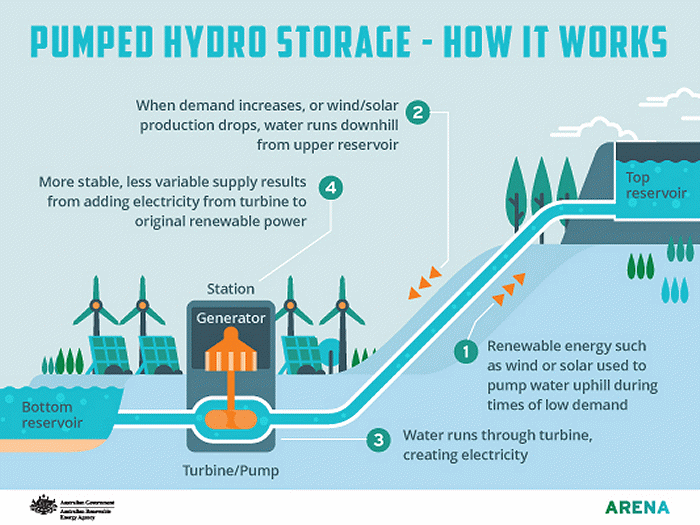 How Does Pump Hydro Storage Work? 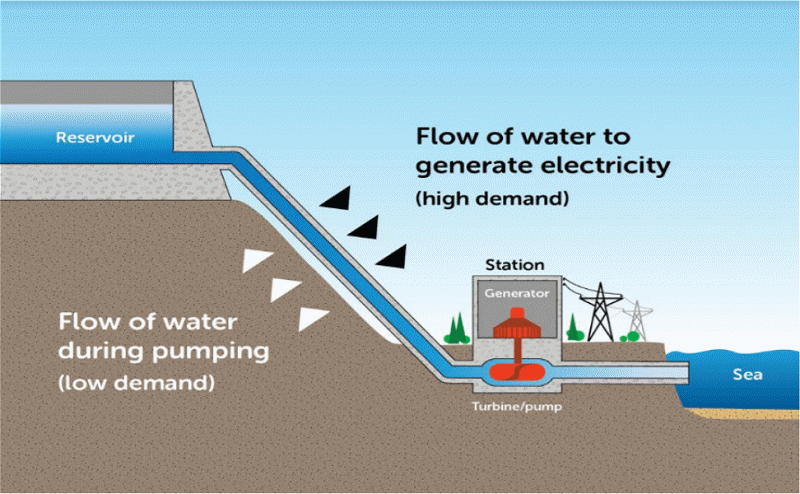 In a pumped hydro system, surplus, off-peak electricity or renewables-based energy generation is utilised to power the pumping of water from a lower reservoir to a higher one. When electricity is needed, water stored in the top reservoir is released and then runs through turbines to generate electricity. This water winds up back in the lower reservoir where the cycle is repeated. A project Professor Pittock mentions is one in South Australia involving the use of sea water. That would be EnergyAustralia’s 225 MW Cultana seawater pumped hydro plant, proposed for the Australian Defence Force’s Cultana Training Area in the Spencer Gulf. It would avoid the need for building a lower reservoir as that would be taken care of by a naturally occurring massive reservoir – the ocean. Last month, the Australian Renewable Energy Agency (ARENA) announced an additional $500,000 for the project, which at this stage consists of an $8 million feasibility study. If built, it would be the largest sea water pumped hydro storage system ever constructed in the world, and the first in Australia. The facility could provide 1,770 MWh of energy storage equivalent. The estimated time to build and commission the facility is three years. Further information on the project can be found here. Other major (and far larger) projects include Tasmania’s “Battery Of The Nation” initiative and the controversial Snowy 2.0. According to a related article on SBS, Professor Pittock says home battery storage complements pumped hydro but has a greater environmental impact. Professor Pittock’s research has been published in Australian Environment Review, which covers the nature of PSH, projects on the board, environmental impacts, opportunities and implications. Unfortunately that’s about all I can tell you about his research as LexisNexis wants money to read any more. For interests’ sake, has anyone done a comparison between pumped hydro storage vs battery storage, and figured out at what point one is more efficient than the other? I’d be interested to know how much pumped storage would it take to store the same amount of electrical energy as a Tesla Powerwall? Should new homes or government buildings be adding a reservoir or water tower to the roof to take advantage of this? Or do you need a megalitre of water and 100m drop to generate 1 kilowatt-hour? The short version is that batteries are good for 2hrs and pumped hydro is good for +6 hours supplying the entire nation, for similar LCOE, however, batteries can be implemented much quicker than pumped hydro, but have higher environmental cost. That statement needs adjusting to “batteries currently have a higher environmental cost.” And I’d dispute that as well. Projects like Snowy 2.0 lose huge tracts of native habitat etc and will expend enormous amounts of energy and concrete to be built as well as diverting a precious resource in water, while batteries involve some mining and currently use a lot of grid power and chemicals. That is changing at places like the Gigafactory where the plan is eventually to be 100% renewable powered and slowly getting Cobalt down to an absolute minimum if not completely eliminated. Tesla also bought Maxwell which may lead to much less intensive methods of battery manufacturing. That means buy the time pumped hydro is built, batteries and even new storage technologies may have surpassed it both on LCOE and environmental cost. I’m more interested in where the water is coming from? Don’t you know we have none? It is *pumped* hydro – the water is reused. And often it is sea water. This is fine in theory, but using seawater is very corrosive. Fresh water is bad enough but seawater much worse. Too many people who have no idea are making comments on things they know nothing about. Pumped hydro reuses water when other supplies become scarce. The water is pumped to the reservoir when there is surplus low cost energy available. Usually there is a minimum of a 20% loss so placement is critical. Run of river systems would only be available during periods of low flow as they are usually running hard anyway during wet periods. The Tesla big battery engages very quickly to stabilise the grid while other back up systems such as hydro are switched on. Batteries are too costly in a scale big enough to run the country. As for home hydro, the same is in reverse. You need lots of water St a great height to be able to generate anything. I would be interested to know if a hydro system on existing water towers would work. I’m thinking it would restrict the flow too much affecting pressure at the tap. 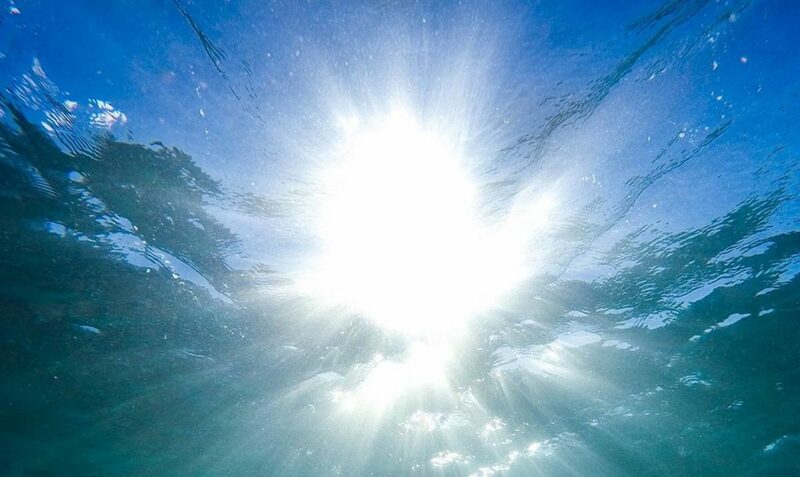 Sea water can use a variety of products that won’t corrode and recycled plastics, or a mix of plastics, polymers and other products will be developed in conjunction with the hydro industry as it grows and diversifies. What I don’t understand is the pitiful investment levels for a game-changing technology. The government should be fast-tracking all large scale projects that would revolutionize our power industry. Just as on a smaller scale, all factories and warehouses like Bunnings should be covered in solar panels and be feeding in power to the grid instead of using their energy. They should be paid a competitive rate by the energy supplier and get a reasonable tax deduction on the panels. These huge rooftops should be profit makers not dead space. Wind power could be incorporated too if the noise and other environmental factors aren’t too negative. All new factory precincts should include totally energy self-sufficiency for electricity and tank water for non-drinking water usage, or even filter systems to go totally grid free. Another rarely mentioned aspect regarding pumped hydro is that once built, it should be good for up to 100 years, maybe more, if designed and maintained adequately. It’s also a well established technology that has been used for decades in Australia. Batteries, on the other hand, deteriorate over time and have to be replaced at around 15 – 20 years. They may get better over time but it’s hard to see them providing the scale required to allow the replacement of fossil fuel generation.